Julie Schlotterback, BaronHR Family of Staffing Companies’ human resources manager, is responsible for ensuring that employees throughout The BaronHR Family of Staffing Companies family of staffing companies understand and maintain compliance with the organization’s various personnel policies and procedures. She also handles internal payroll for the company. Schlotterback has partnered with The BaronHR Family of Staffing Companies IT department to implement a computerized system that allows the company’s branch managers to easily and efficiently access business forms and documents. 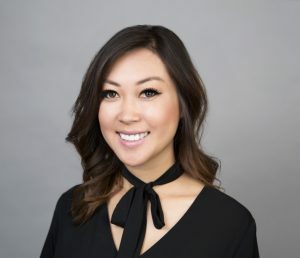 She also works closely with the company’s legal team to answer questions, handle disputes and otherwise contribute to creating a vibrant, energetic and friendly work environment. Schlotterback is well regarded for her ability to listen carefully and patiently to individuals at all levels of the organization and gain an understanding of multiple points of view. She joined the company in 2014 as an executive assistant and was quickly promoted to her current role. She previously held customer relations positions in the automotive and hospitality industries. Schlotterback received a bachelor’s degree in liberal and humanities from California State University, Fullerton.